I love to watch clouds. Unfortunately, I rarely have a camera when something interesting happens. This time I lucked out. This picture was taken from my backyard looking west over my rooftop. 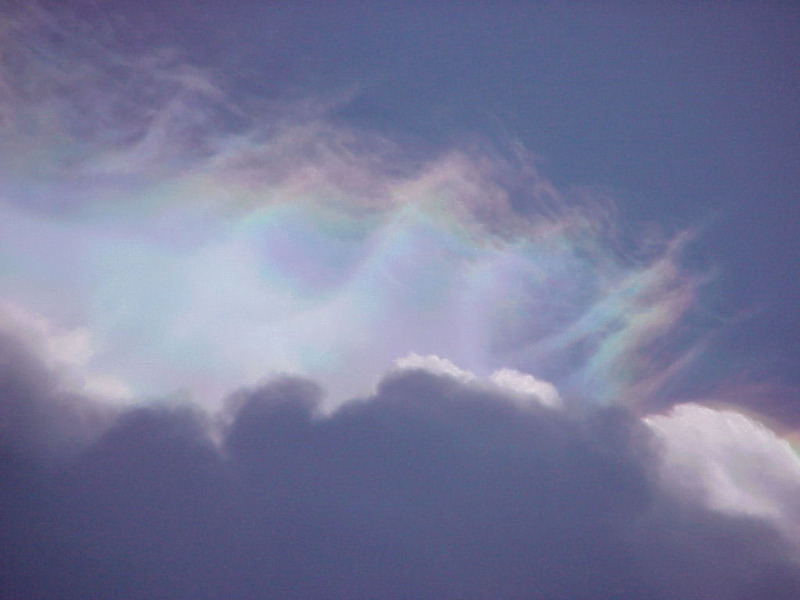 It is a nice example of irisation, or iridescent clouds. Irisation typically occurs in lenticular clouds due to the uniformity of the droplet size. Lenticular clouds are most common in the mountains. So why are we seeing them in Florida? It turns out that thunderstorms act like a kind of mountain. Air rises up over the thunderheads as if the storms were as solid as mountains. Although the lenticulars are not rare, we don't see them often in the Florida scrub because our horizon is blocked by trees. It is tough to see what is on top of a thunderhead. In this case, the lenticular cloud was so big, it is spilling over the edge of the storm cloud. It is not a great example of a lenticular cloud because it is getting disrupted by the turbulent air at the brink of the thunderhead. Usually, lenticular are very compact. 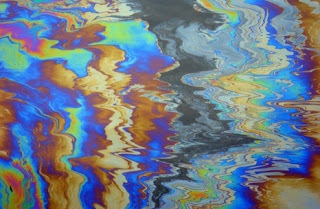 As you can see in the picture, the irisation appears to be made of a different air mass, like oil floating on top of water.